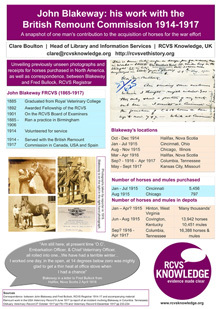 Three posters displaying items from the RCVS archives were presented to the 41st Congress of the World Association for the History of Veterinary Medicine (WAHVM), which took place in September 2014 at Imperial College, London. The posters were authored by our Head of Library and Information Services, Clare Boulton, who examined original diaries, letters, photographs and other archive material, including a recent find which is believed to be the only surviving record of the work at the Woolwich Veterinary Hospital, which opened in 1796. 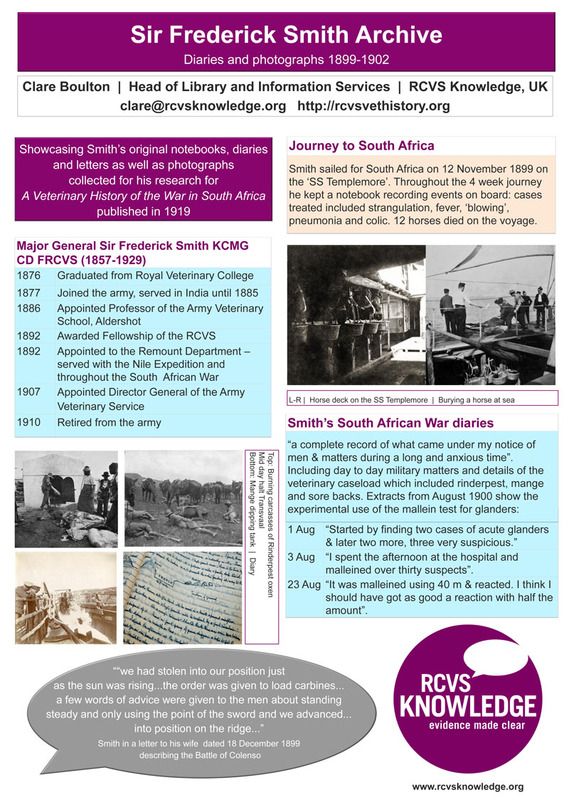 The experiences of two veterinary surgeons who served in wartime are also presented in the posters. 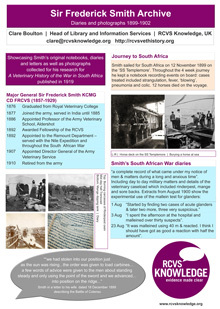 Sir Frederick Smith (1857-1929) served in the South African War and later became Director General of the Army Veterinary Service. 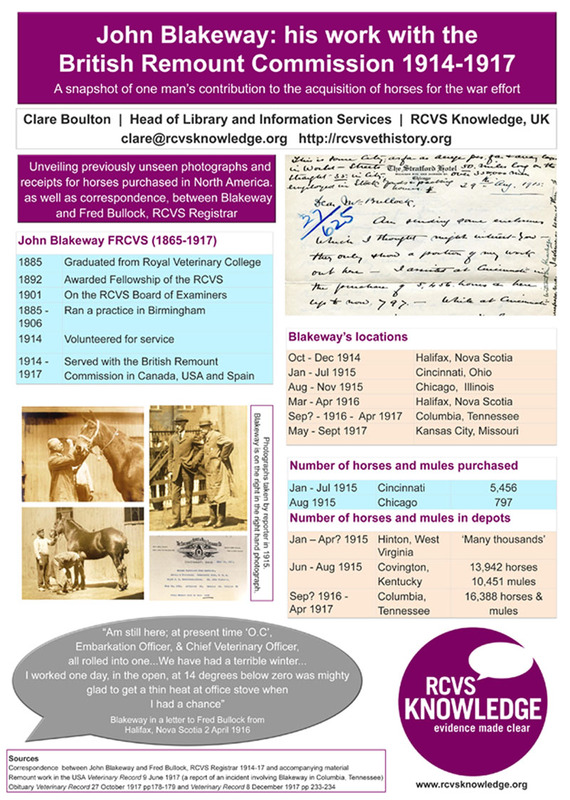 John Blakeway (1865-1917) served with the British Remount Commission, in Canada, the USA and Spain, which was responsible for the acquisition of horses from abroad during the First World War. 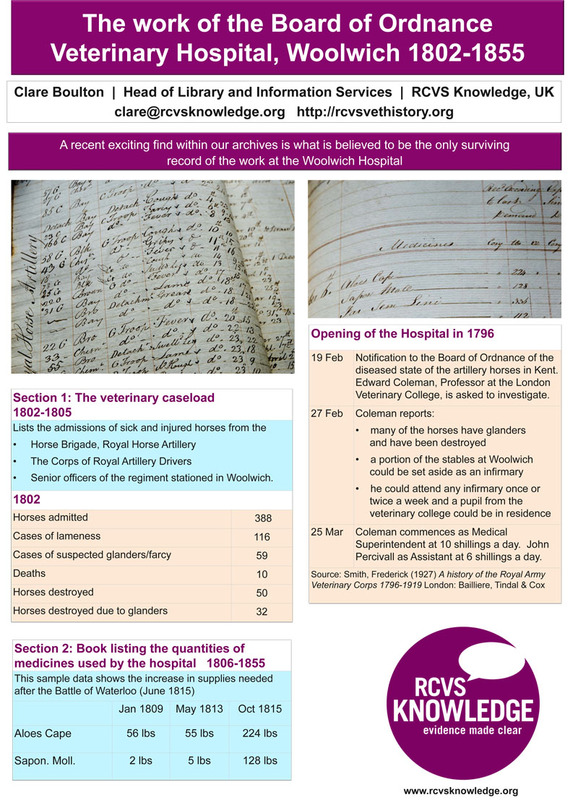 Click on the poster to view an enlarged version.